Your shopping guide for Northwestern and World Wines, Accessories, and Wine Gifts from the leading suppliers! How to Match Food with Wine by Fiona Beckett. Hardcover, 64 pages, 32 full-color photographs. Mitchell Beazley, May, 2002. Best of Italian Cooking by Alex Barker. Hardcover. Gramercy, April, 2003. Cooking Fresh from the Midatlantic by Fran McManus, Wendy Rickard. Paperback, 250 pages. October, 2002. 1,000 Indian Recipes by Neelam Batra. Hardcover, 704 pages. Hungry Minds, Inc., September 24, 2002. The Turmeric Trail: Recipes and Memories from an Indian Childhood by Raghavan Iyer. 1st edition, hardcover, 252 pages. St. Martin's Press, June 1, 2002. 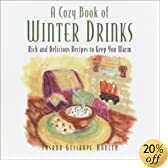 A Cozy Book of Winter Drinks: Rich and Delicious Recipes to Keep You Warm by Susan Geiskopf-Hadler. Hardcover. Prima Publishing, September 24, 2002. The Sopranos Family Cookbook: As Compiled by Artie Bucco by Allen Rucker, Michele Scicolone. Hardcover, 256 pages. Warner Books, September 24, 2002. Regina's Vegetarian Table: Your Invitation to Flavor, Freshness, and Health by Regina Campbell. Paperback, 336 pages. Prima Publishing, September 24, 2002. The Best of Gourmet 2002: Featuring the Flavors of Paris by Gourmet Magazine, Editor. Hardcover, 288 pages. Random House, September 24, 2002. Kraft Kitchens Dinner on Hand by Kraft Kitchens. Paperback. Clarkson N. Potter, September 24, 2002. Gourmet's Five Ingredients: More Than 175 Easy Recipes for Every Day by Gourmet Magazine. Hardcover, 208 pages. Random House, September 24, 2002. The Zuni Cafe Cookbook: A Compendium of Recipes and Cooking Lessons from San Francisco's Beloved Restaurant by Judy Rodgers, Gerald Asher. Hardcover, 504 pages. W.W. Norton & Company, September 23, 2002. Sam Choy's Polynesian Kitchen: More Than 150 Authentic Dishes from One of the World's Most Delicious and Overlooked Cuisines by Sam Choy. Hardcover, 288 pages. Hyperion, July, 2002. The Flavors of Bon Appetit 2002 by Bon Appetit. Hardcover, 224 pages. Clarkson N. Potter, May 14, 2002. CookSmart: Perfect Recipes for Every Day by Pamela Anderson. Hardcover, 348 pages. Houghton Mifflin Co., May 10, 2002. The Book of Sauces by Anne Sheasby. Paperback, 192 pages. H.P. Books, May 7, 2002. Exotic Savory Cuisine by Lola Abiodun-Adegoke. Hardcover, 168 pages. Protea Pub, May, 2002. Healthy Cooking for Two by Angela Shriver. 3rd edition, paperback, 418 pages. Tapestry Press, July, 2002. An African American Cookbook: Traditional and Other Favorite Recipes by Phoebe Bailey, Christina G. Johnson, Kesha M. Morant. Paperback, 224 pages. Good Books, August, 2002. My Kitchen in Spain: 225 Authentic Regional Recipes by Janet Mendel. 1st edition, hardcover, 352 pages. HarperCollins, May 28, 2002. Simple Joys of Friendship Hardcover, Spiral edition, 224 pages. Gooseberry Patch, July, 2002.